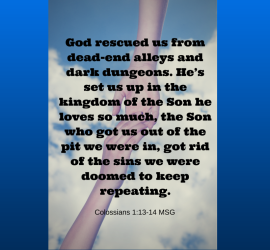 This entry was posted in Devotional and tagged Colossians 1 Colossians 1:13-14 how to get out of sin how to get out of the pit Jesus pit redemption on February 25, 2015 by stacie.snell. Are You Bent Beneath Your Load? 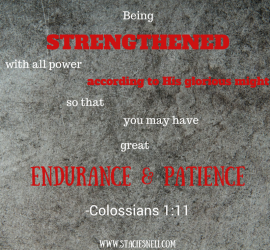 This entry was posted in Devotional and tagged bent beneath your load endurance I will believe patience psalm 145 strength on February 17, 2015 by stacie.snell. 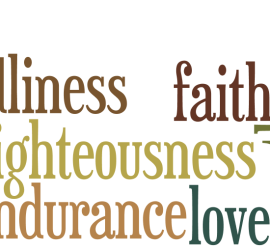 This entry was posted in Devotional and tagged 1 Timothy 6 endurance faith gentleness godliness Godly life love righteousness on February 13, 2015 by stacie.snell. 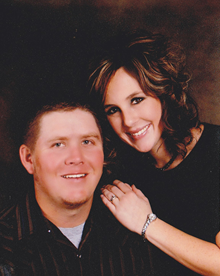 This entry was posted in uncategorized and tagged baby steps God's direction guidance psalm 37:23 on February 6, 2015 by stacie.snell.